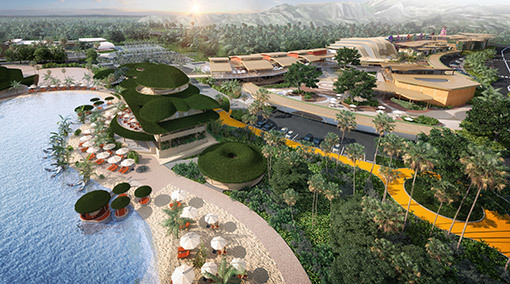 Over the past few years, Phuket has become a mecca for high-class apartments. 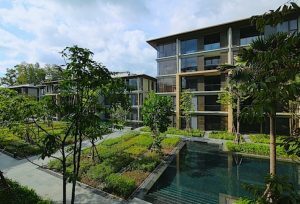 Recently we have uploaded this stunning 3-bedroom apartment, located in a beachside development on Mai Khao Beach in the north of the island, close to Phuket International Airport and Blue Canyon Country Club. Located on the 2nd floor of a stylish development with a communal swimming pool, this ultra-modern apartment is just a 3-minute walk to Mai Khao Beach and offers a luxurious Phuket real estate options with an eye on the rental returns market. The entire size of the apartment is 340sqm, with 139sqm internal space, offering 3 bedrooms, 3 bathrooms, an open plan lounge with a dining room, kitchen and lounge. The apartment is extremely modern and luxurious and comes fully furnished. The apartment is ideal for a couple or family who seek a tranquil place to live on the island close to the airport, or for those who want to invest on Phuket’s rental returns market, as the development has onsite rental management teams. For more details on this apartment, such as prices, photos and a full description, please click here.